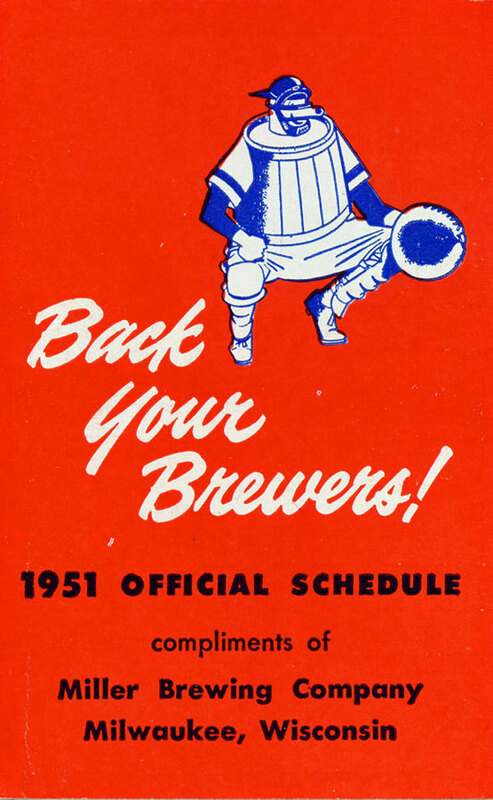 This tri-fold pocket schedule laid out the season for the 1951 Milwaukee Brewers. On the cover, Owgust squats behind the plate. Back your Brewers! The interior flap features an ad for sponsor Miller High Life, the Champagne of Bottle Beer. 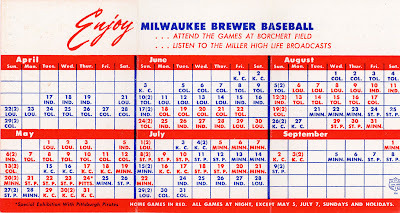 The interior shows the entire 1951 game schedule. 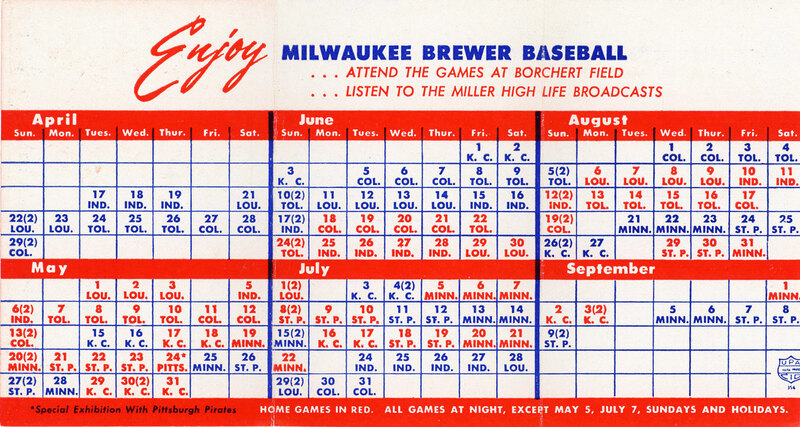 Home games at Borchert Field are in red, road contests are blue. The Pittsburgh Pirates came to town on May 24 for a special exhibition game (a game the Buccos won, 9-4). 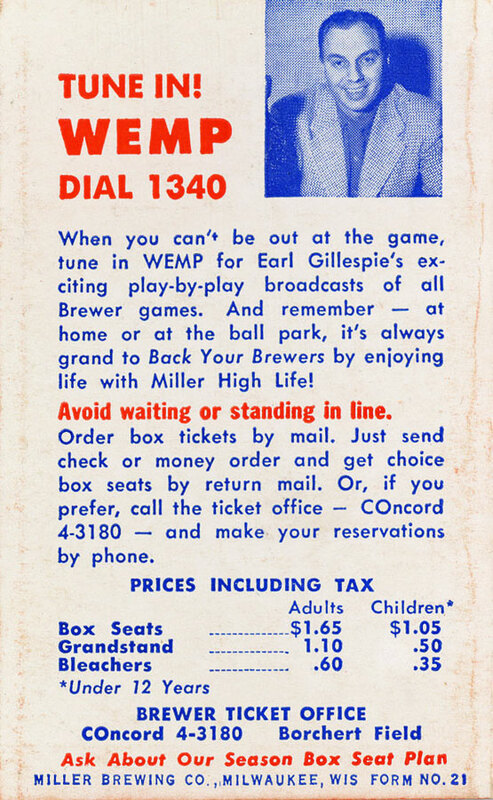 The back cover introduces us to Earl Gillespie, in his first season as the Brewers' radio announcer. 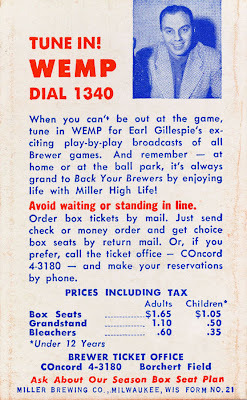 And what a season Gillespie got to call; the Brewers cruised to a 94-57 record, nine games clear of the St. Paul Saints to claim Milwaukee's seventh American Association pennant. 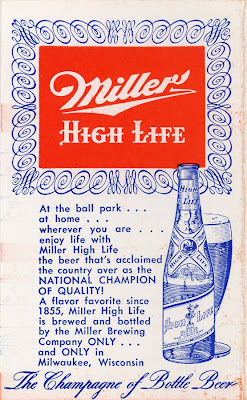 The Brews then went on to best the Montreal Royals, four games to two, in the 1951 Little World Series.